Ah, South Park. We either love it or hate it. With its raunchy comedy and no-holds-barred jokes, it’s understandable why they advise viewer discretion in every episode. But to some, this show is timeless. It goes places where no other shows dare to go. They don’t care about the criticism or the backlash they might get because, to them, it’s all in the name of comedy. 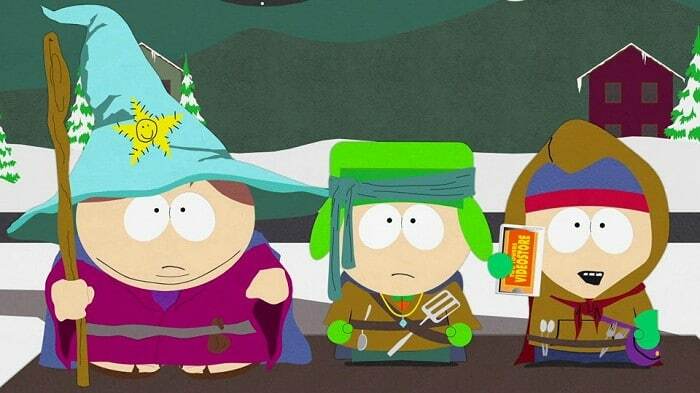 South Park has desensitized us from making fun of things we once thought were sacred. No other show has had such a big influence on television and society as South Park has. It’s for that reason that we at RIPT Apparel have decided to list our favorite South Park episodes in homage to this awesome show and in celebration of their 20th season. “Scott Tenorman Must Die” is a hilariously twisted episode. When Cartman gets his revenge on Tenorman and licks his tears, the dialogue couldn’t be more messed up. Dark, but funny. Check out our exclusive “Tenorman Chilli” South Park design at riptapparel.com. Click the image to shop NOW! “The return of the fellowship of the ring to the Two Towers”-Anyone who knows LOTR has to appreciate this parody. The mix-up and confusion that ensues after Butters gets a hold of the movie is golden. “My precious” hahaha. My favorite is “Good Times with Weapons.” I love the hilarious Japanese Anime, the ridiculous song, and as much as I LOVE Butters (easily the best character on TV) it’s hilarious when he takes a throwing star to the eye. I love “A Ladder to Heaven” because everyone thinks it’s so sad that they’re trying to see their friend in Heaven when in reality they just want the winning ticket to a candy shopping spree that Kenny had. Also, the hilariously bad country song that chronicles the whole event! “Casa Bonita” is my favorite. Cartman goes way over the top in this one making up a story for Butters to stay hidden, he’s so gullible! The best part is when Cartman runs through the whole Casa Bonita park and “enjoys” everything before he gets arrested haha.